On Friday, November 3rd Dr. Taku, Jenna, and Lauren attended a fundraiser event at the ZiFiT Birmingham Executive Club to kick-off The Shelby Jane Seyburn Foundation. 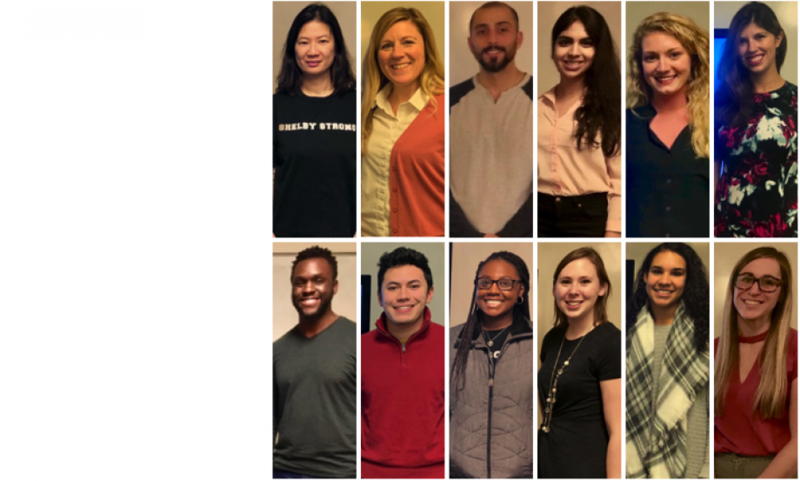 The mission of this foundation is to fund travel to psychology conferences for undergraduate and graduate students, support the PTG Lab’s Teen Parent Initiative, as well as to provide grants to further research regarding Posttraumatic Growth. All who attended this event received T-shirts, wrist bands, and towels and were able to participate in multiple 20-minute fitness classes including boxing, cycling, yoga and more. This was a great way to start the program as Shelby was very passionate about fitness and health. In addition to psychology, Shelby studied nutrition and was known to wake up extremely early every morning to participate in rigorous workouts–sometimes even twice a day! ZiFiT had many workout videos of Shelby that were displayed on monitors throughout the facility, which served as a great motivator and example. Shelby was an incredible individual with a great passion for helping others, and her research in the PTG Lab aimed to do just that. Shelby conducted many research projects in the lab examining PTG, resiliency, and social support, attended many conferences, published articles, and began the Teen Parent Initiative in order to assist teen parents in Pontiac, Michigan. Shelby’s family, friends, and the PTG lab are working hard to keep Shelby’s work and passions alive by continuing her projects and promoting this foundation in her honor and memory. Donations may be made to the Shelby Jane Seyburn Foundation by following this link. On November 3rd, together, we raised $4,605.00 for the Shelby Jane Seyburn Foundation! Shelby has been and always will be here to help OU students successful and help us conduct important research!